We’re featuring Quebec in this month’s update. 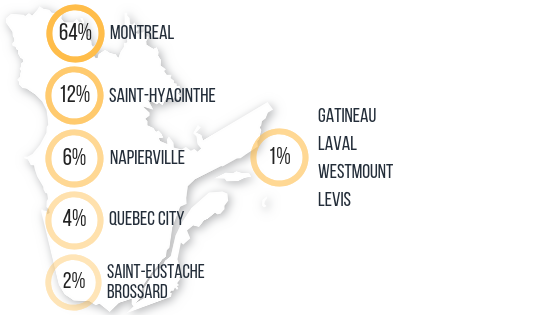 While the largest number of searches are from Ontario, we’ve seen 76% increase in Quebec’s site stats. Dive deeper into our product insight to learn about these notable searches’ market trends, other related searches, key stats, top cities where these searches come from and many more when you download our free white paper. Snow Removal Insurance: How is the Market Doing?